Seafolly offers a wide range of products and services at incredibly low prices in Australia. 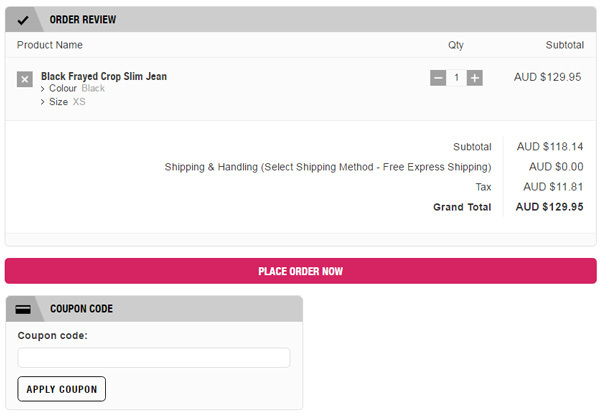 These Seafolly promo codes expire soon, so don’t forget to bookmark this page now. Latest Seafolly promo code: Grab up to 40% off exotic beachwear at Seafolly. Shop today and enjoy breezy waves with style! Seafolly free delivery offer: Have a look at this interesting offer where you can enjoy free shipping on all orders over AUD $100. Limited time Seafolly coupon: Save up to 40% on Tie Sides swimwear collection from Seafolly. Exclusive Seafolly voucher codes: A bag with amazing prints and colorful look is all you want to boast this summer as you stroll at the beach. Find the best of tote bags at Seafolly starting from $39.95! New Seafolly discount: Get trendy sunglasses for just AUD $69.95 at Seafolly. Seasonal Seafolly deal & sale: Get designer playsuits at Seafolly from just $89.95. For people who want to have the latest beach fashions at their fingertips, Seafolly is the place to visit; online and on the high street. The company has been selling beachwear and swimwear since 1975. 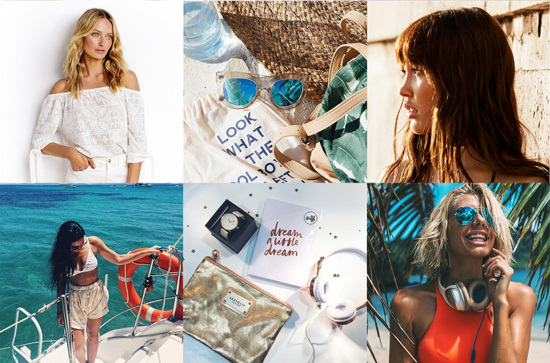 You will find Seafolly items across the globe as the brand is stocked by many well-known retailers, as well as on the Australia, Singapore and US based websites. The aim of Seafolly is to give you exciting and affordable items to wear when you are enjoying lazy times at the beach, in the water or at the bar afterwards. The designs are all about fun and chilling out with friends and family. You will love the fresh and innovative designs at Seafolly that help you to look and feel great. There is a wide variety of beachwear items to choose from too, such as all in one swimsuits, bikinis, cover-ups and all the accessories you need to go with them. The Seafolly brand provides beachwear for women, girls and boys under the Seafolly Ladies, Seafolly Girl and Tiger Joe collections. You will be highly impressed by the quality of the items on sale, which are worn and tested by the Seafolly team. Seafolly is a brand that is known the world over. It’s stocked on the high street as well as on Australia, Singapore and US based websites which ship internationally. You should have access to Seafolly wherever you are. Tropic Coast – The styles in this range can be just at home in the gym as they are at the beach. They include pretty florals and more vibrant stripes. Palm Cove – If you want to cover up, at or away from the beach, then try out these float and freeing designs with an ultra-feminine touch. Seafolly – This is the classic Seafolly look which consists of block colours such as mango, black and indigo, with bold design features including panels and pleats. Spot On – as you might expect, this range is all about the spots, if you feel like going a little vintage. Deja Blue – Double denim is currently very fresh again and this range is all about bringing the 90s fashion back to the beach. If you are shopping on the Seafolly website you can choose what you want to shop for straight from the homepage. You can shop the range that appeals to you most or choose whether you want to shop for women, girls or boys. You can also check out the website for your local high street retailer and take a look at what is on offer first hand. If you are looking for beachwear that will really get you noticed then look no further than Seafolly. You can shop the various Seafolly ranges straight from the homepage, and there is something to suit all tastes. You can find big and bold prints or calm and understated designs. If you are looking for the prefect swimsuit then there are many to choose from and many are available in D+ sizes. If you are spending time relaxing on the beach you still want to look good. You want to wear something that makes a statement. Seafolly designers have come up with several different ranges of beachwear to cater for anyone who takes a look at their brand. They do not just sell items for the beach, like swimsuits, bikinis and tankinis; they also sell plenty of eye catching outfits to cover up, on the beach and at the bar. You can also check The Iconic Australia’s leading clothing & accessories store, where you can the get best quality swimwear starting from just $4.49! $20 off purchases on your birthday if you sign up to receive updates. Select a product that you want to buy. Select colour and size of the product. Enter code into coupon code below. If you have a gift card for Seafolly you can redeem it online or on the high street. All you have to do if you are redeeming your gift card online is to choose the gift card option as your payment method when you go through checkout. If you want to treat someone to a shop at Seafolly you can buy them a gift card. It’s really easy to buy these gift cards online. Once you buy a gift card it’s emailed straight to the person you bought it for. All gift cards are valid for twelve months. The gift cards are in Australian dollars and must always be redeemed in the country of origin. If you have any questions, when you reach the Seafolly site, there is a very comprehensive FAQ section. All of the content is easy to understand so you should be able to find those answers quickly and without too much hassle. There are also contact numbers to call for the Australia, Singapore and US websites. If you want to get to know more about Seafolly, take a look at the content on YouTube. This video shows preview of 16 sunset diaries. If you make a purchase from Seafolly you can be sure delivery of your items is simple and efficient; as is returning your purchases if you are not completely satisfied. If you live in Australia you even get free delivery if you order is over $50. You need to check your local Seafolly site for delivery if you live outside of Australia. Once you have ordered an item you can track delivery details online; to make it easier for you to keep up to date with what is happening. It’s worth noting that you will need to sign for your delivery from Seafolly. All the tags are still attached to the garment. The garment is as it was when you purchased it.